Interactive whiteboards are becoming increasingly common in schools around the world. In fact, Futuresource Consulting, an independent research company, forecasts that in the next five years, one in every five classrooms will be equipped with an interactive whiteboard. As a result, inservice and preservice teachers are requiring more support/development on how best to integrate interactive whiteboards and other classroom technologies with their content and curriculum. 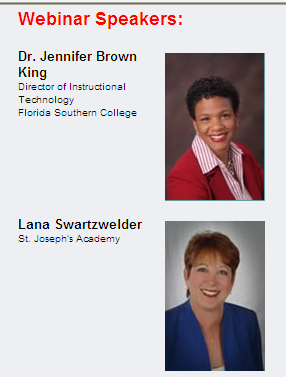 One model that has had success in supporting both current teachers and future teachers is the SMART Integration project designed by Dr Jennifer King from Florida Southern College. The SMART Integration Project is a unique coaching and collaboration model involving preservice teachers serving as coaches to K-12 teachers who are recent recipients of SMART Boards. The SMART Integration Project provides in-classroom training while teachers serve as lesson collaborators. From this webinar you will learn how to modify the SIP model to meet your professional development needs. Mobile Tools and Technologies written by three Brandon Hall Research analysts, Adam Cunningham-Reid, Gary Woodill and Richard Nantel. 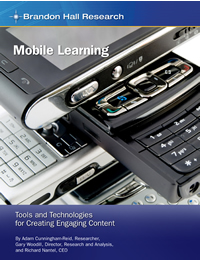 "Mobile Learning: Tools and Technologies for Creating Engaging Content" is a snapshot of the mobile learning landscape today. They have compiled information about some of the top rated mobile devices and applications, as of the date of this publication, which have received good ratings by users and syndicated technology reviewers. This report is divided into three sections that each examine the mobile content, mobiles services, and mobile devices. 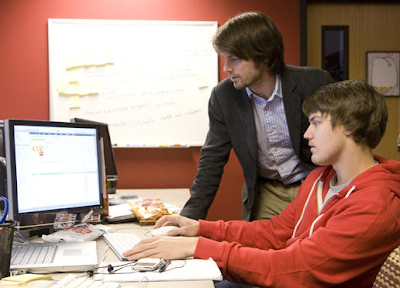 Before embarking on a mobile implementation, you should first determine your objectives. What you are trying to accomplish will considerably affect which mobile services and devices you use. Check this story out below. Like many high school seniors, James River High School student Olivia Rappe is working her way through a course in British literature, studying the great works of Chaucer, Shakespeare and Joyce. But unlike her peers, she is doing so in Quito, Ecuador. It’s an option that is only possible through Chesterfield County Public Schools’ (CCPS) expanded online class offerings. CCPS initiated online classes about 10 years ago as an option for at-risk students, but has expanded its offerings to appeal to a wide range of students. 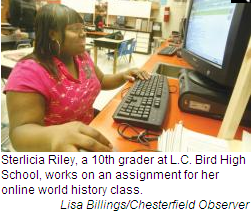 Currently, 829 Chesterfield students are taking classes online, with enrollment rising steadily each year. • Are we truly collaborating? Take a look at this interesting article below. 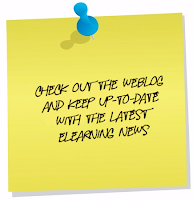 As a student or a trainee, you may be quite busy with study and work. "I don't have enough time to learn more." "The current study methods are too stiff." Complaints like these are heard a lot. Then how will you change this situation for more flexible study? Learning through mobile devices, professionally known as mobile learning, or mLearning is a good choice to improve your learning efficiency. This innovative form of study had become a hot topic in recent years. Mobile learning comes as a wonderful assistant for learners. It contains ubiquitous handheld technologies, together with wireless and mobile phone networks, to facilitate, support, enhance and extend the reach of learning. This kind of learning has great advantages for easy and time-saving study. Many colleges and universities contemplate and execute classroom streaming strategies at a departmental or college-wide level. But the University of Tennessee Engineering Services department was among the first to attack academic streaming at a university system-wide level from the start. The challenge of providing webcasting services for five campuses, 250 smart classrooms, board meetings and countless sporting events across the entire state was an initiative that required strong research, planning, and breakthrough educational technology choices like Mediasite to be successful. Join UT's Associate CIO, Bob Hillhouse, as he shares a reproducible roadmap of how the UT System has combined multiple technologies including Mediasite into a single, faculty-friendly application that resulted in a seamless, system-wide streaming service. Bob Hillhouse is Associate Chief Information Officer at the University of Tennessee. In his former role as Director of Engineering Services, he was responsible for providing video conferencing, web streaming services, classroom technical support, residence hall closed circuit surveillance system support, and game-day engineering support to the university. Nicola Asuni,Tecnick.com s.r.l. has been in touch to share with us the news below. People using TCExam in their university or schools might be interested in meeting the TCExam author at CeBIT 2010 from March 2nd-6th in Hannover, Germany. The CeBIT show is world renowned and is billed as "the world's largest trade fair showcasing digital IT and telecommunications solutions". TCExam is a popular Computer-Based Assessment (CBA) Open Source Software to drastically simplify the evaluation process for schools, allowing teachers to create, distribute and manage exams, tests, surveys and quizzes. Compared to the traditional Pen-and-Paper Testing (PPT), TCExam simplifies the whole process of evaluation reducing costs and improving quality and reliability of the exams.We cordially invite you to come down to Hall 9 Stand B19 to experience firsthand the new TCExam solution. For further information and free CeBIT tickets please visit http://www.tcexam.org Website. Enjoy your conference with your coffee breaks and networking in Hannover, Germany! Check out this grand vision: a global college with no tuition, accessible to anyone with an Internet connection. When higher education entrepreneur Shai Reshef laid out his ambitious plan to build a free university that would use modern technology to spread the promise of a college degree to all corners of the earth, he got an enthusiastic reaction from some high-profile institutions. The United Nations has backed the venture. 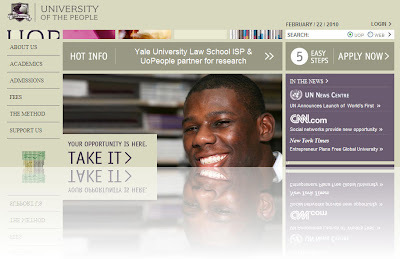 So has Yale Law School's Information Society Project. Reshef and his lieutenants also like to mention the many letters of support and offers to pitch in from professors worldwide. Questions about the so-called University of the People abounded: How do you build quality programs without charging tuition? How effective would the project's peer-to-peer pedagogical model be in classrooms of students from vastly different cultural and educational traditions? Who would accredit such an operation at a time when the perceived value — even necessity — of a postsecondary education is ascendant in virtually every country? Reshef's heart seems to be in the right place. But is his head? It is the world’s first tuition free online academic institution dedicated to the global advancement and democratization of higher education. The high-quality low-cost global educational model embraces the worldwide presence of the Internet and dropping technology costs to bring university level studies within reach of millions of people across the world. With the support of respected academics, humanitarians and other visionaries, the UoPeople student body represents a new wave in global education. 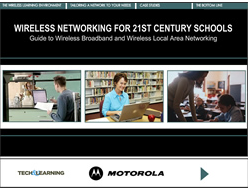 K-12 districts everywhere are turning to wireless LANs to enable their 21st century education curriculum, however, they have questions on what are the best approaches, what are all the considerations and what should schools be planning for as they map out their technology strategies that will unleash classroom limits and position the school for unplanned future educational applications. 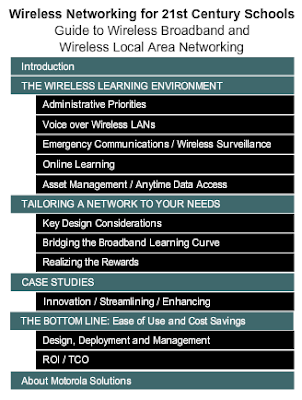 Join us as we cover best practices for using wireless LANs as an instructional technology, and how one district implemented wireless LAN in their schools. Plus, we'll hear from one school as they transitioned from a legacy WiFi to the new 802.11n standard, providing classroom coverage and addressing dense student usage with laptop carts. EDUCAUSE Review Latest Issue Now Online! Just look at these articles in this EDUCAUSE Review, vol. 45, no. 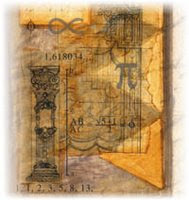 1 (Januar/Februar 2010) below. This issue highlights "Innovation: Rethinking the Future of Higher Education," as Don Tapscott and Anthony D. Williams discuss innovating the 21st-century university with collaborative learning and knowledge production, Brenda Gourley uses lessons from the past to look to the future, Diana G. Oblinger explores widening the purpose of higher education from the campus of today to the future of society, and William H. Graves proposes ways to transform educational opportunity into educational assurance. Please check out this story of Time To Know, an enigmatic Israeli startup that has somehow managed to remain under the radar of Israel’s tightly knit startup scene. What makes this feat wondrous is not only because of the daunting challenge the company has chosen to meet, but that it has quietly ramped to 350 employees and no less than $60M in funding—all without attracting attention. Time To Know is the realization of a single man’s vision to un-root teaching methodologies from their 19th century origins and thrust them into the 21st century. The entrepreneur is Shmuel Meitar, co-founder of Israeli hi-tech posterchild Amdocs. To appreciate Meitar’s commitment, consider this: He is TimeToKnow’s sole investor. That’s right, the $60M the company has taken in funding all came out of his pocket. A survey David Arendale gave his students on the first day of his introductory world history course told him podcasting was basically unknown. By the end of the semester, more than half of his students were subscribing to his podcasts and receiving them on a weekly basis. The University of Minnesota is one of more than 200 colleges and universities around the world that is a part of iTunes U, an Apple-operated Web site available through the iTunes Store that provides educational podcasts for download. Professors are able to request a section for their course on the University’s iTunes U site and post content, such as class lectures and supplemental material, as podcasts. 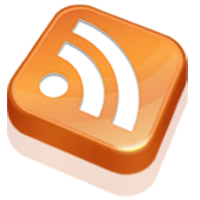 Students can then download the podcasts to their personal library and add them to an iPod or iPhone. Then and Now is a podcast project with an introductory world history course at the University of Minnesota-Twin Cities. In these uncertain economic times, K-12 school districts and universities are looking to control costs wherever possible. 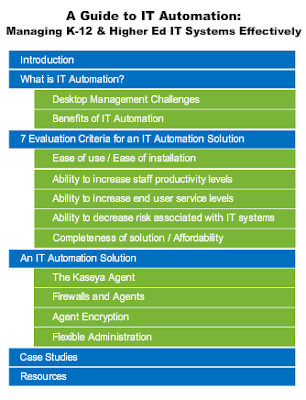 IT automation — where software helps to manage the routine, day-to-day tasks of IT maintenance — can make the difference. This ebook will guide you in the process of understanding IT automation and determining what the right solution for your district should include. 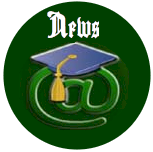 Check out news, reviews, commentary and more!